You just have to customize mail templates. After that you'll find templates in resources/views/vendor/notifications. You'll find components in resources/views/vendor/mail. The ones you want are message.blade.php and header.blade.php. Not the answer you're looking for? Browse other questions tagged laravel laravel-mail or ask your own question. How do I change laravel mail body? How does Laravel schedule mails for later sending? Laravel Mail accessing object in mail view when sending to bulk recipients? 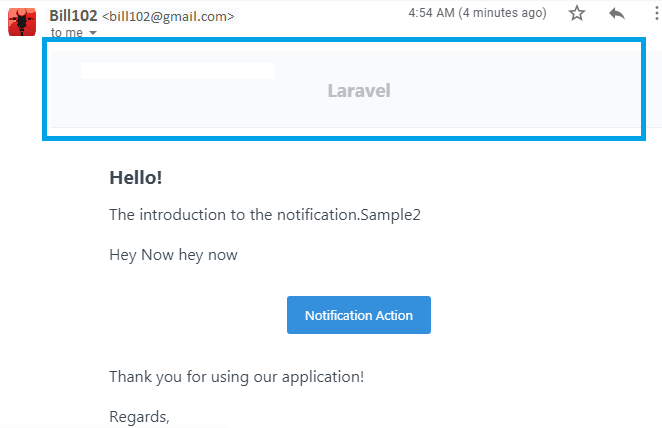 Laravel - How add break line in mail salutation?